Who will buy Galaxy Nexus from Google? While we wait for Samsung to unveil its new smartphone in a few hours, for your waiting pleasure I've got answers to the question posed last week: "Would you pay Google $399 for unlocked, HSPA+ Galaxy Nexus?" The search and information giant ended April with a May flower: Direct sales of its flagship, Android 4.0 smartphone, presumably because AT&T and T-Mobile aren't doing so. Google's got a good thing going here for Android enthusiasts, but I've got a problem with the direct sales thing. What Apple offers that its rival can't: Service. People buying iPhone can get defective replacement at local Apple stores. They also can purchase, granted for an extra 99 bucks, AppleCare+, which extends the basic warranty and provides discounted replacements. If you drop and break iPhone 4S, Apple will replace it for $49, up to two times. What's Google going to do for you, if Galaxy Nexus goes bust or you bust it up? 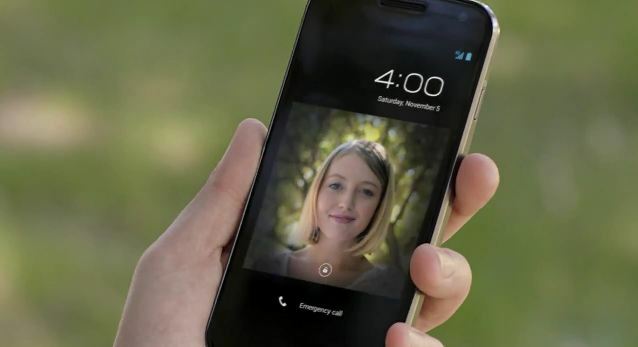 Still, $399 for an unlocked, contract-free smartphone running Ice Cream Sandwich is tempting. The process is simple enough, if you have a Google Wallet (formerly Checkout) account. Galaxy Nexus is available from Google Play (what all used to call Android Market). The process is quick, and Google claims two business days to process and another two for shipping. But I'm hearing it's much faster -- hours from ordering to shipping. Final cost is more than $440 depending on tax (if applicable) and shipping. "Yes, and I just did", Nizar Senussi replies yesterday. Has Google shipped already, Nizar? Daniel Garcia: "Heck yeah! This phone is freakin' amazing. Google's #1 handset that'll get the very first updates to Ice Cream Sandwich (and beyond). Definitely the best phone I've ever owned -- the first Android that makes iPhone look boring. "I would, and did", Keith Heard responds five days ago. "I am planning on switching from $80/month on AT&T to $30/month on T-Mobile's Monthly 4G plan (100 minutes, 5GB HSPA+), and so will make back the extra money spent vs. getting a subsidized phone in only 4 months". Some quick math: Verizon sells Galaxy Nexus for $199.99, with two-year contract. The 2GB per month data commitment is $720, bringing price to around $920. However, if you're planning to get data anyway, and don't mind the contract, the subsidized phone costs $200 less over the time period. Galaxy Nexus price through AmazonWireless, for Verizon, is even better: $49.99 for new line, or $149.99 for existing one. Some people pay much more. Kent Karlsson: "Should I buy a $200 phone on a $4,000+ 2-year contract or an unlocked $400 phone on a $40/mo plan. Let me think about that -- bought it yesterday". Please buy the galaxy nexus and support this business model. Most smartphones are overpriced because that's how the manufacturers and carriers have it rigged. They want to force you to be in a 2-year contract. If we weren't being forced into contracts then the smartphone price off-contract would drop down to $399 or less. That's how inflated the phone prices are. On T-Mobile I can save $50 a month and not have to be a slave to the carrier. I have 5 phones and 3 data plans and pay $150/month. It's this cheap because of the off-contract non-phone subsidizing plan I'm on. Buy a Galaxy Nexus and switch to T-Mobile and start saving and getting on a great data network. Jon Langevin "ordered the Galaxy Nexus from Google last Wednesday, got it Friday. Loving it. Glad to not have carrier lock or subsidized contract (still working off contract on my prior phone, HTC G2...). This phone is better than I can get through T-Mobile, and cheaper than T-Mobile currently offers me due to my already subsidized plan. I'm already thinking about ordering a second Galaxy Nexus, for my wife". "I want to buy it", Tony Tasmaly comments. "But I hate to be limited to just 16GB, and no SD card [is] bad move on Google Side!" The subsidized, contract commitment Galaxy Nexus models from Sprint and Verizon have 32GB storage. Owners can't expand it, but surely 32GB appeals more than 16GB. Storage capacity doesn't bother Ali Muzaffar, who ordered Galaxy Nexus: "16GB is more than enough because I'm not much of a mobile gamer and don't listen to music much. I basically use it for email, Google Maps and Kindle Reader. It's light, cheap and does everything you would want from a phone! It has a 720p screen, which no other phone for this price has! No reason not to buy it!" "I would jump on it when it opens for purchase in Canada", Dong Liang. "It is a bargain for that price at here. Most carriers lock us in for 3 years for huge monthly fee". Google initially only offers Galaxy Nexus direct in the United States, but indicates expansion to other countries. Ming C adds about the great up North: "Here in Canada, the same phone costs CND$600+ at no-contract price. Furthermore, the GN sold in Canada are yakjuux, which means Android updates are being controlled by Samsung, not Google. Therefore, at $399 for a takju model, even after taxes and shipping, is a bargain". "It's a great phone", Conrado Gomes brags. "This is a developer phone through and through, it's an awesome phone, and great coverage in my area. I had the Samsung galaxy S II, but decided to get this one, and I love it so far".